Stuck in the past? Stuck in pain? Stuck with someone? Stuck with some habit? Stuck with a job? Stuck with a feeling? 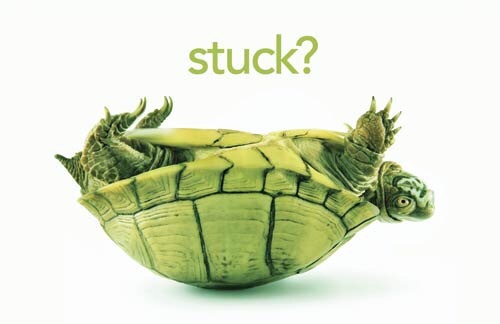 Stuck with being stuck…!? Write any and all of your thoughts about these questions down. Look over what you’ve written. What do you notice? Spend some time in prayer talking to God about these stuck places of life…and listening to what God might be saying to you through these stuck places.